A bill before a Texas Senate committee is bringing into focus the simmering debate over local control in the state. It's a charge that has been backed by Gov. Greg Abbott and state legislators who see cities overstepping their authority. A Texas Senate committee is bringing into focus a simmering debate over the extent to which Austin should claw back the authority of municipalities, a charge endorsed by Gov. 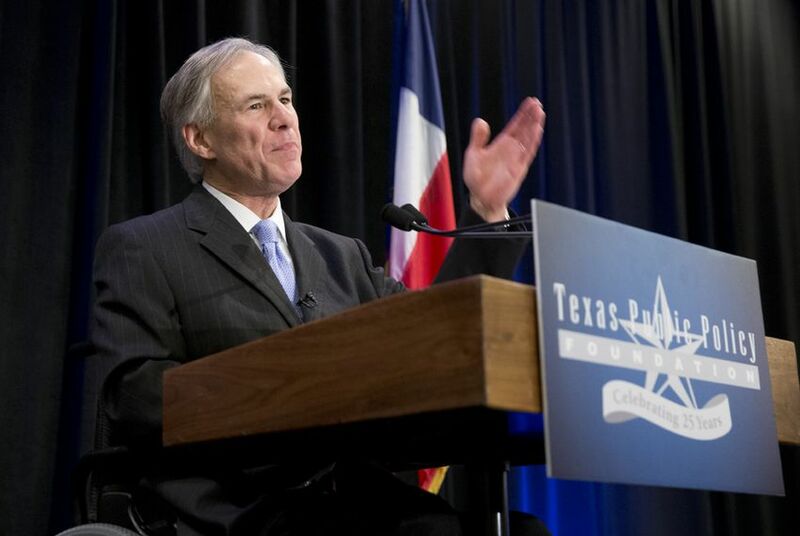 Greg Abbott and backed by state lawmakers eager to keep cities in check. After hearing hours of testimony, the Business and Commerce panel Tuesday left pending a bill that aims to prevent cities from passing laws that would force landlords to accept federal housing vouchers. The legislation was spurred by an Austin ordinance that is on hold as a legal challenge snakes through the judicial system. Local control advocates say the legislation — Senate Bill 267 sponsored by Lubbock Republican Charles Perry — would take away a critical tool cities have in the fight against economic segregation. More broadly, though, the advocates also see it as a growing effort by Republican lawmakers to rob municipalities of their coveted autonomy. “It’s certainly a piece of this push to remove the ability of the cities to solve their own problems," said Will Livesley-O'Neill, a spokesman for the Texas Low Income Housing Information Service. Local Control Texas, a group that recently sprang up in opposition to the influx of legislation, counts more than a dozen bills that have been filed this session that "take away local control." The organization says the bills would undermine cities' capacity to do everything from crack down on payday lenders to ban or restrict the use of plastic bags. Tuesday’s hearing offered a glimpse of the arguments that are likely to come up as some of the bills make their way through the legislative process. Perry warned of a "dangerous, slippery slope that we go down when we start forcing those practices on private-sector enterprises," alluding to the fact that Austin is the only city with the kind of ordinance in question but other municipalities are considering adopting their own. State Sen. Kirk Watson, a Democrat who represents Austin and is a former mayor of the city, told Perry he is "attempting to turn the Texas Legislature into an appellate court" for local issues best handled by local governments. State Sen. Don Huffines, R-Dallas, offered the most colorful defense of Perry's bill — and his colleagues' broader interest in holding cities accountable. "I don't consider local control a blank check to just trample the liberties of the business community or their citizens," Huffines said. "To me, tyranny from your neighbor or your local government or a dictator in a foreign country is still tyranny." Perry and other GOP legislators appear to have a powerful ally in Abbott, who shortly before taking office decried a "patchwork quilt" of local rules and regulations that threaten to turn ruby-red Texas into predominantly Democratic California. Abbott's remarks heartened Republicans lawmakers already weary of what they see as cities in Texas courting defiance of state law. "Our governor has eloquently mentioned what a big problem this is and will be for the state of Texas," Huffines told the Tribune. "We do not want to become California-ized with a patchwork of rules and regulations in every municipality, and so what we want is more certainty and conformity in the process." The Dallas Republican has filed a sweeping bill that would prohibit cities from enacting ordinances that go beyond state law. As he did at Tuesday’s hearing, Huffines has emphasized he is all for local control but believes cities must be called out when their ordinances meddle with free-market principles. Specifically targeting the broadness of Huffines' bill, Democrats argue the overall trend is antithetical to the platform many Republicans stumped on last year: scaling back the influence of state government in citizens' lives. "Local voters are victims of a classic 'bait and switch,'" Matt Angle, director of the Lone Star Project, said in a statement. "Both Don Huffines and Greg Abbott campaigned saying there's too much government, but now they're working nonstop to make government in Austin bigger than ever and to consolidate their own power — at the expense of local voters."